The woman died in the parking lot and medical officials were treating at least six wounded church-goers after the shooting at Burnette Chapel Church of Christ, according to the Nashville Police Department. A woman was killed and at least six people were injured when a gunman opened fire at a church in Nashville on Sunday morning, officials said. 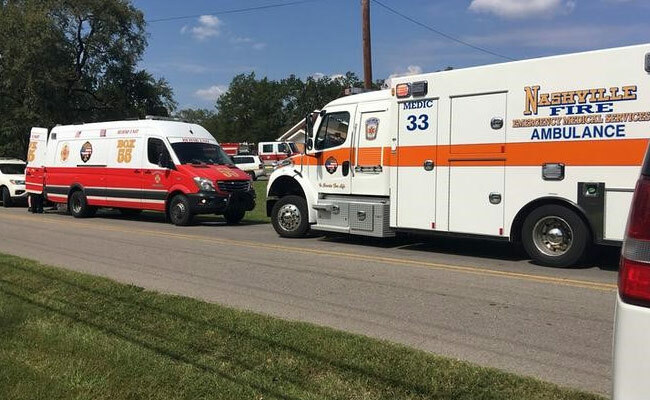 All but one of the wounded were over 60 years old and were being taken to nearby hospitals, Joseph Pleasant, a Nashville Fire Department spokesman, told Reuters. The gunman was among the wounded, according to Pleasant and the police. The church is in Antioch, about 10 miles (16 km) southeast of downtown Nashville in Tennessee. The church's pastor was shot in the chest and was being treated at a hospital, the WKRN television news channel reported, citing the pastor's son.